Net growth of 19,000 subscribers - are you one? TPG has announced a net profit increase of 65% in the second half of 2011, from $33.8 million to $55.7 million. The telco has pointed to their popular bundle plans for most of their success, with 49,000 bundle subscribers over the half year. There are now 156,000 TPG bundle customers taking advantage of TPG's low prices that are particularly geared towards those customers who have no or little use for a home phone. TPG (1300 106 571) pointed out that the growth in bundle subscribers was "partially offset by a decline in standalone on-net and off-net subscribers", with a total net increase of 19,000 new subscribers. It's interesting to speculate about the 7000 TPG off-net subscribers that have left TPG. TPG's off-net plans are there for when TPG does not have equipment at the customer's telephone exchange, and instead rents Telstra equipment in order to provide the customer with their broadband connection. It may be that in some of these off-net areas where only Telstra equipment was available, customers have been able to churn to NBN fibre connections, with many great prices being offered by Optus (1300 137 897) and Club Telco (1300 138 155) among others. In any case, this is a winning moment for TPG. The strength of support for their bundle deals is telling, particularly in relation to their new $69.99 super value unlimited plan. TPG's bundle plans are best when you're looking for a plan that supports heavy internet usage without many calls on the side. Though the plans offer twenty minute caps on their call rates and the option to add unlimited local calls for an extra $5, TPG's true value comes out for the customer who rarely uses their home phone and doesn't care that most calls won't be covered by the plan. While Naked Broadband may be tempting, it's often more cost-effective for customers who don't need a home phone to get a bundle deal and just ignore the phone aspect of it. Line rental, despite common misconceptions, is not just phone line rental, as both the internet and phone come in on exactly the same copper line – no matter what, then, you are going to be paying phone line rental. With companies like TPG, the cost of the internet is reduced enough that phone line rental as part of a bundle doesn't seem like so much of a big deal. This can be seen with TPG's popular 100GB Broadband and Home Phone Bundle plan. It provides you with 100GB of data and the phone line connection for $49.99 per month. Alternatively, customers could try TPG's Unlimited Broadband and Home Phone Bundle plan for only $59.99 per month. 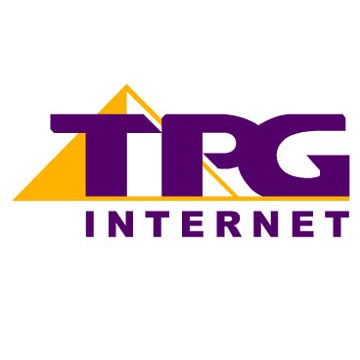 For an additional $10 per month, you have the option of adding TPG's Super Chat add-on, which includes unlimited local and national calls, 100 international minutes, and a free WiFi modem./This add-on is only available on a 24 month contract, but is nevertheless a great deal, especially as one of the rare plans out there that offers free calls to international numbers. To find out more or to sign up with TPG today, give us a call on 1300 106 571.